Believing I had written my least controversial blog ever, I am confronted yet again with how unconventional it is for a doctor to share their evolving thoughts publicly. If freely sharing information is revolutionary, what revolution are we talking about here? A departure from the science of evidence based medicine? Evidence based medicine is based on purposely flawed studies designed by drug companies to “prove” that their drugs should be prescribed. Drug companies make wild claims all the time, about drugs that have never had the test of time. If Rituxan works for ME/CFS, that’s 4 million people in the US alone who need a drug that can cost upwards of $20,000 per round of treatment, including the high level of care needed to administer safely; it probably will need to be given twice a year, must be continued forever and carries a significant risk with each infusion. For fun, that would be $80 trillion dollars per year for us all to get treated. The drug is apparently much cheaper in the UK; it is going out of patent in 2015, so it will be cheaper in the US as well, but that also means there will be no funds to study it for us. The point is, it is not a sustainable model, this drug or another expensive palliative treatment. Nor would antiretrovirals have been had they worked very well. Too many people. And it’s not just this cohort, but several huge cohorts. Wouldn’t it make more sense at this point to figure out why so many people are getting sick with immunological diseases, rather than blindly killing everybody’s B cells? With monoclonal antibodies, produced from hybridomas, a fusion of mouse and human, technology that came from the very techniques that probably got us into this mess in the first place? It sounds like science fiction, but unfortunately it isn’t. Look at this nightmare: Risk of autism among younger siblings of a child with autism much greater than previously reported. They say they are going to monitor future siblings now that they know their risk is about 18%, so they can offer early intervention to these incredibly high risk children. What intervention do they have in mind? CBT (ABA or Applied Behavior Analysis) to help them adapt to their brain injuries? How about considering the obvious and not vaccinating these particular children. That would be a rational approach, wouldn’t it? Let’s not challenge the immune systems of these particular children in this way, since they are at risk, and some of their siblings had problems with vaccinations? A little common sense? We have an obvious epidemic on our hands. We need to get everyone’s head out of the sand. How can society possibly take care of all these disabled children when they become adults? It is the same for children of ME/CFS patients in my opinion. Though we don’t yet have the numbers, the informal survey from last year showed similarly alarming rates of CFS in offspring of CFS sufferers, as well as increased risk of autism, beyond even the alarming rates being acknowledged currently in the general population. These children should not be vaccinated in my opinion, or at the very least should be selectively vaccinated, with fewer total vaccines, fewer shots at one time and spread over a longer period of time. Common sense, except that we aren’t allowed to apply common sense when it comes to the vaccination program, because it is a sacred cow. We still intend to complete a formal family study. We are all working as hard as we can at our individual endeavors, but know how important this is. The incredible burden of disease that some families are dealing with needs to be brought into the light. I encourage you to watch The Greater Good, a new documentary about childhood vaccines, the damage they are doing and the over the top blindness of our government’s approach to the problem. A special court to deal with the injuries. You can buy the DVD here. Please also visit and consider The Canary Party. Although it grew from concern about autism, it is about us too. The ME/CFS community desperately needs cross-pollination from the ASD community, politically and medically. They are related diseases and there is strength in numbers. Sharing between physicians could be rewarding for both groups. I still hope to do just that. I’ve launched a private forum to begin the dialog with the intention of sharing anything interesting or productive that comes out of it. All the participants are really busy, but want to share. In the case of Rituxan, there is vast experience already, not for this indication, but a lot of experience for other indications. Enough that infectious disease doctors will tell you that it falls on them to treat the mess from JC virus reactivation, a fatal leukoencephalopathy, and cases of sepsis caused directly by the drug. 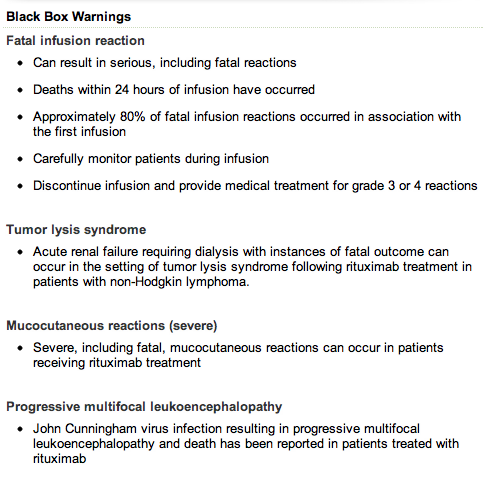 That’s if the infusion doesn’t kill you, which granted, it usually doesn’t. I have a patient who is probably the perfect candidate for Rituxan, because she has the test results that would get it paid for, but her decision has been to wait, because the immunological abnormalities and variations in the patient group make it impossible at this time to select patients optimally. Meaning no way to know who will respond or precisely how to use the drug, until some patients have been the guinea pigs. There will be hits, as we saw from the Norwegian trial, assuming that we all have the same thing, which we probably don’t, but the biggest problem with Rituxan is that there will be deaths also. Why do the gentle therapies bear the burden of proof? Because they don’t make money for the drug companies and the medical establishment? While doctors administer drugs that can kill with impunity, not even knowing precisely why they’re doing it, or what the long term consequences of it are, I’m expected to justify my “voodoo” with proof, and it doesn’t matter how many convincing references I come up with. Since it isn’t a drug, it couldn’t have value. I’m not trying to convince anyone to do anything. Everyone gets to make their own decisions. I am a medical libertarian. I’m not selling anything here. I started this blog before I was working. I have enough patients for what I can manage in my current state of health. I work in a very unusual, personal, hands on way and I am not right for everyone. In any case, I can only handle a very small number of active patients, especially if the intensive therapies that I’ve been writing about here are involved, so I am not writing to bring in business. I write for the same reason I wrote before I was in practice, trying to make a difference and save people from making the mistakes I made. My writing is peppered with the anger that has been engendered by my patients’ histories, histories sent to me by email, and my family’s own history. Although I have returned to practice, I still identify most strongly with the patient group, not the doctor group. I hear from every well known CFS and Lyme doctors’ patients and it isn’t pretty. However, it is unfair to have your career contribution judged because of a few angry patients. Angry patients come with the territory and I acknowledge the inherent bias in who I hear from. I’m sure my being back in the same boat will make me more considerate of their constraints and decisions. In any case, not so much for the doctors, for some really do deserve the antipathy, but out of concern for the patients who respect them, I will refrain from gratuitous comments that divide us even further than we already are. I am getting a little tired of feeling like Don Quixote. I am not trying to convince anybody of anything and I could be wrong about anything. I am sharing my ideas, knowledge and experience, in case it helps someone. If it isn’t for you, that’s fine. I am still hearing reports of benefit and reports of harm from various preparations of GcMAF’s and MAF yogurts. It does seem as if the opinions of the doctors managing these patients is now start low, go slow, always a good idea with ME/CFS patients, unless you are concerned about encouraging resistance of a microorganism. It isn’t clear how to tell when to stop or how to maintain an early effect. And I’m still disturbed by its being a completely unregulated blood product. Does anyone know if the newer MAF yogurts are derived from human blood? I have always and still do tell patients that it is a bad idea to be in the first round of a drug trial. Let another million people take it first. I got called out by someone I respect for lumping Ampligen and Rituxan together and that is fair criticism. Ampligen has been around for a long time and it doesn’t kill people. Also I don’t know who is and isn’t making what money on either drug. My comment about doctors making money selling dangerous drugs was a general one, not aimed at anyone in particular, and certainly not limited to our disease. There are a very few CFS doctors who do manage to take Medicare or have been known to give away care and I acknowledge them for it. That is quite a feat with this patient group and the current system. At any rate, Ampligen costs a lot, and doesn’t seem like it works so well for many, or even most. I would like to state for the record that I am not an angry person in my personal life. I have worked through much of my personal anger about how badly we were treated, mistreated actually, over the years. In fact, I am very happy now much of the time. I am laying down smile lines these days, not frown lines. Since you can’t see me, I want my readers to know that. My anger now is most often protective of my patients and friends. I would give anything if I could be proud of my colleagues more often, fully acknowledging that there is bias in the sample I am hearing from. Happy customers are less likely to write letters. There is no cure and there isn’t going to be a cure, most likely. It is going to be about palliative care, at least for the foreseeable future. Hopefully it will also be about prevention, sooner rather than later, so we don’t have to feel so helpless watching while our friends’ children go down. Once you give up the idea of one drug to fix it, it becomes easier to see the wisdom of using multiple adjunctive therapies synergistically, all of which support the possibility of healing over the long haul, without harm. My opinions about drugs aside, they are sometimes the best course of action and I still think that future treatment may include antiretrovirals, reverse transcriptase inhibitors in particular. The results of the uncontrolled patient experimentation that happened left a few of us on long term treatment that we think is helping; nobody was seriously harmed that I am aware of. The drugs in question are low risk. I have been reading and considering other reasons why RTI’s might be a good idea besides inhibiting exogenous retroviruses. It is a fascinating subject, taking us to the frontier of what is currently known about the human genome. Future blog fodder. The take home message from this blog is that I believe I can get to the same place with the therapies I am using, along with common sense primary care, without the risk, compared to any single treatment currently available. And I predict that my patients will do better over the long haul than allowing themselves to be used as human guinea pigs for the testing of dangerous drugs. Time will tell. However, it will always be only anecdote, not evidence based medicine. If my patients, friends and family are suffering less, it will have to do. Let me start by answering some FAQ’s I’m getting with respect to neurofeedback. Does it have to be the Othmer’s system? There are quite a few choices of systems on the market. I am out of date, because I am just starting to reconnect with old friends in the neurofeedback community, or should I say communities. The Othmer’s new system, Cygnet, does what the others do, plus it is able work at the “ultra low frequencies” that Sue is using in her clinic. They also have a tight network of practitioners who share clinical experiences on a private listserve and consult with Sue about particular patients if needed. It allows me, for example to start a patient here and have them follow-up with someone close to them at home who has the same equipment and uses the same protocol, though, as I said before, it is not a one size fits all protocol. Unfortunately. Judgement is required. It’s getting closer and closer though. It’s fun to think about a future with wireless electrodes and one size fits all neurofeedback that anyone can do anywhere, on their iPhone. BrainMaster used to give the most for the least money. A quick look at their website and it looks like they still do. I also had a little experience with Roshi and LENS, but I consider them to be in a different category, because they use stim to entrain the brain. It is a powerful technique, but I don’t have enough experience with it personally to write about it or advise strangers to try it. There are many testimonials out there for those techniques, however. They fall into the category of things that could help so many people, but will never be studied, because it doesn’t fit into the dominant paradigm and there isn’t enough money to be made, unless people start saying no to drugs. Can it hurt you? In the hands of the wrong therapist, yes. As I said in the last post, it can further destabilize initially until a protocol that works for that person is found. For a stable epileptic, tolerating meds, it may not be a good idea. For someone on the brink of harming themselves or others, it may not be a good idea, unless done in a controlled setting. For someone who has not tried meds, or wants off of them? For almost anyone with a neuropsychiatric disorder (and for those of you that haven’t read the DSM IV, that’s most of the entire human race), it’s worth a try. I do think it’s worthy of comment here. There are people who say they are bothered by WiFi and on first glance, it sounds crazy, but one of things the internet and cell phones have done (also flourescent lights) is create an environment where we are constantly bombarded with electromagnetic frequencies which may entrain the brain to some extent towards poorer function and thus cause symptoms. Now, oxygen reports and answers to some questions. I have heard from two more people reading the blog who experienced a flare of symptoms (herx) from the doses of normobaric oxygen I am using in my practice. I no longer think a herx is a good thing, but a potentially damaging cytokine storm, though I did see people push through it and improve with very high dose HBOT in my last practice. I now think that if that were to happen in my practice, I would back off, to maybe a half an hour every other day, see if that is helpful and go up from there. I would assume that those people would herx with hyperbaric also and it is possible that they could improve enough with lower dose oxygen that they would later tolerate the addition of pressure. All speculative for now. Anyone trying oxygen, please keep me informed. My practice is tiny and this is how I learn, how we are all learning for now. I’ve gotten some questions which indicate that some don’t know the difference between a concentrator and a chamber. 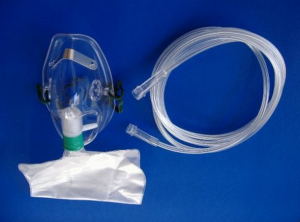 A concentrator puts oxygen directly into the room, through a tube, which is delivered to the patient in one of several ways- a cannula that goes in the nose, a simple mask, with holes in the side, or non-rebreather mask that has an oxygen reservoir that holds 100% oxygen and has one way valves to prevent inspiration of ambient air and to allow exhalation of exhalation gases. Oxygen can be brought to the home in tanks or in the form of a concentrator, that takes the oxygen out of the air. Tanks are quieter, but at the flows I’m using, need to be replaced frequently. Concentrators are noisy, but more portable and never run out. 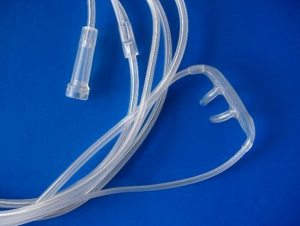 Concentrators can be portable or ultra-portable, but portables only give 2-4L/min (liters of flow per minute) and are used with a cannula (delivering 24-27% oxygen, instead of the 21% in air). 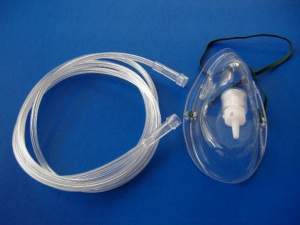 A standard concentrator usually goes to 5 or 6L/min and can be used with a simple mask (delivering up to 35 or 40% oxygen). Some concentrators go to 10L/min and then can be used with a non-rebreather mask (delivering >60% oxygen depending upon fit). A non-rebreather mask should not be used without enough flow to inflate the bag. A chamber is a way to raise the ambient pressure of the patient above that in the room (normobaric pressure). Chambers can be monoplace, the patient goes into a 100% oxygen environment, or multiplace, multiple people go in together and oxygen is delivered by Scott mask or by hood, a bubble around the head with an airtight neckdam (latex or neoprene) to which oxygen is delivered with high enough flow to blow out the exhaled gases. Hard chambers go to pressures, or “depths”, of up to 3 ATA. 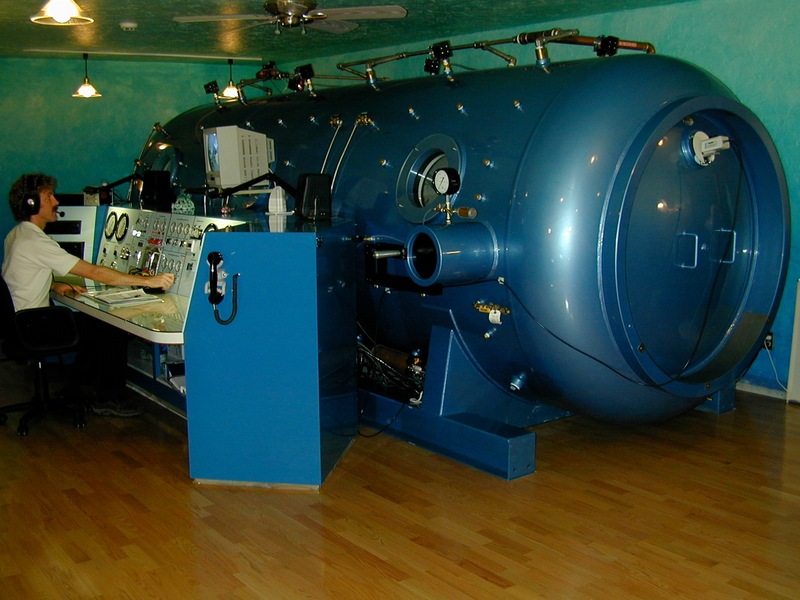 Hyperbaric technology came from the need to treat divers with the bends. A huge amount of work has been done by the Navy and the commercial diving industry that has helped to elucidate the physiology of exposure to pressure and hyperoxia. Sea level is defined as 1 ATA (measure of atmospheric pressure equivalent to 760mm Hg). 2 ATA is equivalent to the pressure at 33 FSW (feet of sea water), the way divers think of pressure. Depth and pressure can be measured in many ways; some common conversions are 1 atmosphere (atm or ATA) = 33 feet of seawater (fsw) = 10 meters of sea water (msw) = 14.7 pounds per square inch (psi) = 1.01 bar. The protocol generally used for treating brain injury is 1.3-1.5 ATA with 24-100% oxygen. There is ongoing debate in the hyperbaric community as to whether the addition of pressure adds anything to a treatment that you could deliver without it. For example, there have been studies done showing that autistic kids respond to very mild hyperbaric treatments, 1.3 ATA and 24% O2. PaO2 = partial pressure of oxygen in arterial blood is between 75 mmHg and 100 mmHg at sea level (765 mmHg) on room air. 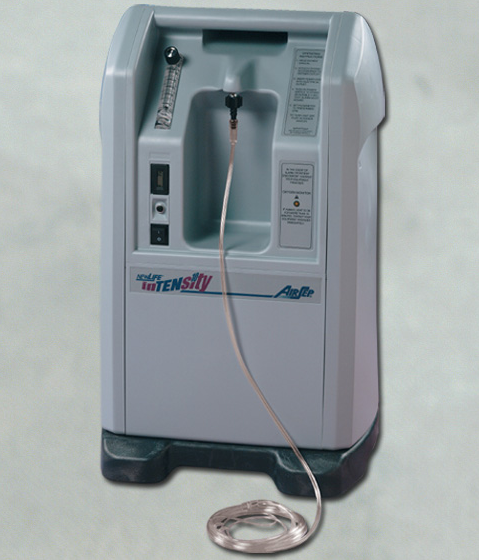 A 1.3 ATA treatment with an FiO2 (fraction of inspired oxygen) of 24% will produce a paO2, or partial pressure of oxygen in the plasma of around 300mm Hg; you can get that with a mask and a concentrator, without a chamber (400mm Hg +). But my guess is, yes, it’s better with pressure. And our trail blazer K’s experience, a few blogs back, suggests that will turn out to be the case. A few references below re: possible independent pressure effects. The breakthrough for hyperbaric treatment that allows it to be safe and simple enough for home use has actually happened since I left my last practice, in the form of the soft chamber. Gamow bags were developed to treat mountain climbers who develop altitude sickness. For this purpose, they are used without oxygen, simply adding pressure to increase the pO2 a little, and this works. It works by compressing the air so that the lung tissue is exposed to a greater number of O2 molecules in the same volume. In the early ’00’s I was worried about the possibility of an explosive decompression, which can be fatal, because the soft chambers sold are not rated for hundreds of duty cycles. But in practice, over quite a number of years now in home settings, it hasn’t happened. They do develop leaks on occasion, but slowly, and then they can be repaired. I see on the internet, there are quite a few newer companies selling cheap chambers, also some from China. I’d advise refraining from a bargain without a track record. To help with cost, I’ve heard of groups who live near each other sharing a chamber. The chambers can be used with or without oxygen, though it says right on them that they are not supposed to be used with oxygen. Nevertheless, they provide a port to hook up your concentrator:). Oxygen should not be delivered directly into the open chamber, but through a mask, just as with a concentrator alone. Oxygen saturation in blood, or O2 Sat, is measurable by pulse oximetry on the finger and expressed as a percentage. It tells you how much oxygen is getting through the lung into the blood. Since we don’t have trouble saturating hemoglobin, this number is often cited as the reason that we don’t need oxygen. However, it is possible to hyperoxygenate the plasma and we do have cellular hypoxia, meaning not enough oxygen is making it into the cell, or mitochondria (and/or it isn’t being metabolized properly). My guess is that there is an issue with oxygen getting across the mitochondrial membrane. Viral product from activated virus in mtDNA? Elevated anticardiolipin antibodies (and other autoimmune markers) are seen fairly commonly in the patient group. Cardiolipins are located on the inside of the mitochondrial membrane. Oxygen gets into the mitochondria by diffusion across a pressure gradient. Without enough oxygen, the cell can’t make ATP. If you raise the diffusion pressure, more goes in. Relative contraindications to hyperbarics are seizure disorder, inability to clear ears for pressurization, though this should be able to be handled in almost all cases, without barotrauma, but takes patience on the part of the chamber operator, as well as good communication with the patient. Severe COPD with CO2 retention, is another relative contraindication, although in practice CO2 narcosis only happens in the setting of acute decompensation. Asthma is a concern, because wheezing can cause air trapping and a wheezing patient shouldn’t be decompressed as trapped gases will expand and cause barotrauma. Asthmatic patients should be pretreated. Hereditary spherocytosis because of red cell fragility. Pregnancy and cancer are considered relative contraindications because of the unknown, although there are hints that HBOT may in fact be helpful for cancer. Certain prior ear surgeries are a concern and should be discussed with an otolaryngologist. Also some eye problems should be carefully considered. Hyperbarics may accelerate the maturation of existing cataracts, though if this is true, it takes a lot; HBOT does not cause cataracts de novo, according to the literature. An exam by an ophthalmologist is a good idea prior to embarking on hyperbaric treatment. There have been cases of optic neuritis that worsened with hyperbaric treatments. Implanted devices should be checked prior to treatment with the manufacturer as to whether they are hyperbaric safe. The only absolute contraindictions to hyperbarics are the presence of an untreated pneumothorax (collapsed lung) and recent prior or concurrent treatment with doxyrubicin, cisplatinum, Sulfamylon or disulfiram (Antabuse). Hyperbaric safety amounts to common sense. Don’t create sparks in the chamber as oxygen is an accelerant. It sounds like a simple thing, but there have been some terrible accidents, all due to human error. Only cotton should be worn in the chamber. Reading material is permitted, but not newsprint. Always make sure you have nothing in your pockets when entering a chamber. There is a review on MedScape (here’s the link for those who can get in) from 2010 that lays out the party line, which is that only patients with certain very circumscribed indications should do it, but when you look into it further, it’s pretty clear that that is all about what insurance will and won’t pay for. Hospitals charge exorbitant per session prices and will only treat the indications that insurance covers. It is a global treatment. It affects every cell in the body and its potential uses are very broad. Risks low. The article also says that soft chambers are becoming popular (gasp) and that they can go to 1.5 or 1.7 ATA. DO NOT TRY THIS AT HOME. The soft chambers come with a pressure relief valve that prevents going above 1.3 ATA (aka 4 PSI). These can be disabled to allow higher pressures. The only accident I have heard about through the rumor mill involved someone who altered a chamber to go to 1.5 ATA. It doesn’t sound like much of a difference, but I’m sure there is an engineer out there reading who can put it in perspective for us. Amusingly, the Undersea and Hyperbaric Medicine Society defines a hyperbaric treatment as above 1.5 ATA. 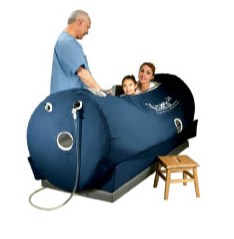 Hyperbaric oxygen therapy (HBOT) is breathing 100% oxygen while under increased atmospheric pressure. 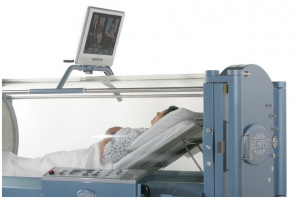 HBOT is a treatment that can be traced back to the 1600s. The first well-known chamber was built and run by a British clergyman named Henshaw. He built a structure called the domicilium that was used to treat a multitude of diseases. The chamber was pressurized with air or unpressurized using bellows. The idea of treating patients under increased pressure was continued by the French surgeon Fontaine, who built a pressurized, mobile operating room in 1879. Dr. Orville Cunningham, a professor of anesthesia, ran what was known as the “Steel Ball Hospital.” The structure, erected in 1928, was 6 stories high and 64 feet in diameter. The hospital could reach 3 atmospheres of pressure. The hospital was closed in 1930 because of the lack of scientific evidence indicating that such treatment alleviated disease. It was deconstructed during World War II for scrap. 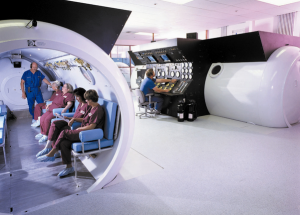 The military continued work with hyperbaric oxygen. The work of Paul Bert, who demonstrated the toxic effects of oxygen (producing grand mal seizures), as well as the work of J. Lorrain-Smith, who demonstrated pulmonary oxygen toxicity, were used with Navy divers. Exposure times to oxygen at different depths of water (and, hence, different levels of pressure) were quantified and tested based on time to convulsions. This last work mentioned may be the source of the fear of oxygen. However, the Navy worked out the doses long ago. They have been using Nitrox, or oxygen enriched air, to prevent the complications of prolonged and repeated exposure to nitrogen bubbles produced during depressurization. Over time, hundreds of dives on air cause cognitive decline and joint disease. If you are diving with a mask in a multiplace or soft chamber, please make sure to wear your oxygen on the way up. There is huge experience from the diving industry that oxygen enriched air exposure, during exercise, is safe over many, many exposures. And that’s with pressure. Additionally, evidence is growing that HBOT alters the levels of proinflammatory mediators and may blunt the inflammatory cascade. More studies are needed to further elucidate this complex interaction. As HBOT is known to decrease heart rate while maintaining stroke volume, it has the potential to decrease cardiac output. 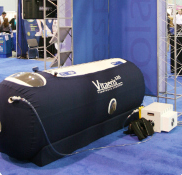 At the same time, through systemic vasoconstriction, HBOT increases afterload. This combined effect can exacerbate congestive heart failure in patients with severe disease; however, clinically significant worsening of congestive heart failure is rare. I am weaning patients off fentanyl patches with oxygen concentrators and getting mail from all over the world from very sick people about how much it is helping them and thanking me. Oxygen is the best thing I’ve got to offer, not all by itself, but in synergy with other things. Of course not everyone benefits, but lots of people do and no one is harmed if used sensibly. If I could only do one thing for the sickest people, it would be to give them a concentrator to try daily for a while and during their worst moments. CFS doctors have bad mouthed oxygen for decades due to a logical fallacy, that because there is already oxidative stress, and oxygen produces temporary oxidative stress, during administration, that that is all it does, so therefore it is bad for us. As a result, patients have had to suffer more than necessary for a very long time. But no worries, soon those same doctors, who said oxygen was too dangerous to try, will be able to make lots of money giving everybody Ampligen and Rituxan. Hyperbaric oxygen therapy promotes neurogenesis: where do we stand? On HBOT and oxidative stress: HBOT enhances the production of reactive oxygen species (ROS) and causes oxidative stress in body tissues. Excessive accumulation of oxidative stress may contribute to neurodegenerative processes and cell death in the brain, as seen in diseases like Alzheimer’s disease (AD) and Parkinson’s disease (PD). Since HBOT-induced oxidative stress is directly proportional to both exposure pressure and duration, the benefits of HBOT, may outweigh the side effects due to the phenomenon of hormesis. Hormesis is a process that results in a functional improvement of cellular stress resistance, survival, and longevity in response to sub-lethal levels of stress. We suggest that this process might be beneficial in the treatment of oxidative stress associated neurodegenerative diseases like AD and PD. Our data suggest that HBOT significantly ameliorates mitochondrial dysfunction in the motor cortex and spinal cord and greatly delays the onset of the disease in an animal model of motor neuron disease. This prospective open-label pilot study in children with autism indicates, as measured by changes in plasma GSSG, that HBOT ranging from 1.3 to 1.5 atm and 24% to 100% oxygen was not significantly associated with increased intracellular oxidative stress. The use of therapies to raise glutathione levels and lower oxidative stress before beginning HBOT in individuals with autism appears prudent. Among children with high initial CRP, hyperbaric therapy led to a large improvement in CRP levels; this suggests that inflammation in these children improved with treatment. Improvements in clinical outcomes as measured by several scales were observed at both 1.3 atm and 1.5 atm. Conclusions: HBOT lowered markers of inflammation and oxidative stress and ameliorated IBD (inflammatory bowel disease) in both human and animal studies. Most treated patients were refractory to standard medical treatments. Additional studies are warranted to investigate the effects of HBOT on biomarkers of oxidative stress and inflammation as well as clinical outcomes in individuals with IBD. Hyperbaric oxygenation therapy alleviates chronic constrictive injury-induced neuropathic pain and reduces tumor necrosis factor-alpha production. These data show that HBOT alleviates CCI-induced neuropathic pain and inhibits endoneuronal TNF-α production, but not IL-1β in CCI-induced neuropathic pain. Reduced TNF-α production may, at least in part, contribute to the beneficial effect of HBOT. Hyperbaric oxygen therapy in the management of paroxysmal sympathetic hyperactivity after severe traumatic brain injury: a report of 6 cases. Thus, HBOT may present an option for the management of PSH (paroxysmal sympathetic activity) in addition to pharmacologic therapy. Potential mechanisms for these effects are discussed. But whatever the mechanism, the proof is in the pudding. Relief is relief. Patients know it if they feel it. If it doesn’t make them feel better they can turn it off. The patients tell you what they need, if you listen. They tell you they have air hunger and are short of breath. Well, not at all surprisingly, oxygen can relieve it. The disease is characterized by diffuse vascular spasm. Even insurance companies will pay for oxygen for migraines. Unless you have CFS. Then you get nothing. Our chamber, early 2000, Great Barrington, MA, and my husband, Anthony, at the console. Erratum: De novo cataract development following a standard course of hyperbaric oxygen therapy. A recent paper reporting a case of de novo cataract formation after 48 HBOT sessions at 2.5 ATA for 90 minutes for chronic refractory osteomyelitis, an enormous dose compared to the doses discussed in this blog (high dose normobaric and mild hyperbaric treatments, all <1.5 ATA with 100% O2). There is a huge amount of wound care that has been done over many, many years now at the doses this patient was treated with and this case was considered reportable as a cautionary statement to suggest that it can occasionally happen at doses less than previously thought. As I said above, it is a good idea to get an eye exam prior to embarking on oxygen treatment and discuss any contraindications you might have. More importantly, if you try it and it works, you might want to involve your ophthalmologist in the decision to continue long term, especially if you have any pre-existing eye conditions. As soon as Siegfried’s post went up, I was questioned on FaceBook as to how I could promote something as unscientific as neurofeedback. There is science to support its use, but my personal answer to that question is, let’s not get blinded by science. I’m a clinician. Neurofeedback helps sometimes, maybe even oftentimes in some hands, when nothing else has. And here’s some interesting science as well. EEG-based upper alpha neurofeedback training improves working memory performance. 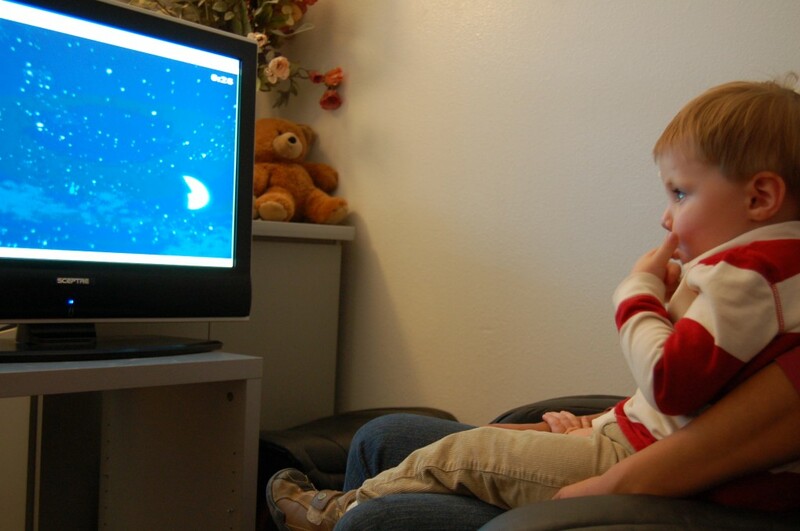 EEG and behavioral changes following neurofeedback treatment in learning disabled children. Neurofeedback in ADHD: a single-blind randomized controlled trial. Medicine is an art. Healing, different from curing, happens in the context of relationship. There are many factors at play. I mostly treated untreatable things in my last practice, and now again. I try things that aren’t dangerous, relatively speaking, discard the things that don’t work and keep the things that do, and I look for synergy. When a patient is successful at turning their illness around, it is generally because of a constellation of things. There are always many uncontrollable variables in clinical practice. Science doesn’t do well with multi-factorial treatments. Sometimes anecdote is the best thing we have to go on. Here are a few cases from my last practice that come immediately to mind. Cases I treated with neurofeedback, on now obsolete equipment. 6 year old boy with greater than 100 seizures a day. Idiopathic onset of grand mal seizures 6 months prior. On 3 anticonvulsant drugs, having many small breakthrough seizures, without loss of postural tone or incontinence, but followed by a period of post-ictal confusion. Very disruptive to his life and that of his family members. The child was a well behaved, very smart, well functioning kid prior to onset of epilepsy. On presentation, his EEG showed generalized slow wave activity with intermittent paroxysmal bursts, also generalized. We did a few sessions and he responded with fewer seizures, but he lived over an hour from me, could come for treatment only a couple of times per week, and would slide between sessions. After a dozen or so sessions, it was clear that neurofeedback helped him. His mother learned to run his sessions and bought a machine that she used to treat him at home under my direction. He was seizure free in 3 months and drug free in 6 months. Now 14, he continues to train on that same obsolete system, 21 minutes a day. He is an A student and has avoided years of brain deadening drugs. The only time he has seized is when he tried to wean from the neurofeedback and wound up back on drugs for a few months. Is he cured? No, his epilepsy is controlled with neurofeedback, something that helps brain function, without hurting anything. Here’s another: Anna’s Story. Her doctors wanted to remove part of her brain. I remember a 12 year old boy with NLD, on the autistic spectrum. He had wonderful, proactive parents. He had such severe dysgraphia that he needed a scribe at school. He was too clumbsy for sports. He had no friends. He had an obsessive interest in movies, knew all the names of everyone involved in many, many movies. After, maybe 9 months of neurofeedback, about twice a week?, don’t remember exactly, his handwriting was legible, he was on the basketball team at school, had had a sleep over date at a friend’s house and was writing a movie column for the school paper. I eventually did some hyperbaric with him, but for him, it was the neurofeedback that had the power. Have no long-term follow-up on him. He was a lovely boy. I’d love to know what kind of a man he grew into. I recall that his father had fibromyalgia. I treated a yoga instructor with life long full blown panic attacks. Appeared out of the blue, without content. They went away after the first treatment. She finished 20 treatments, for luck, but the first treatment appeared to fix them. I had maybe 6 months or a year of follow-up and they didn’t reappear. Like a restart of a computer. This was an extremely rare case and I treated people who weren’t helped at all. But hey, no harm, no foul. Obviously, these are very memorable cases, but I treated hundreds of people and it is useful, as an adjunctive therapy, for many conditions, especially conditions that involve unstable brain states. 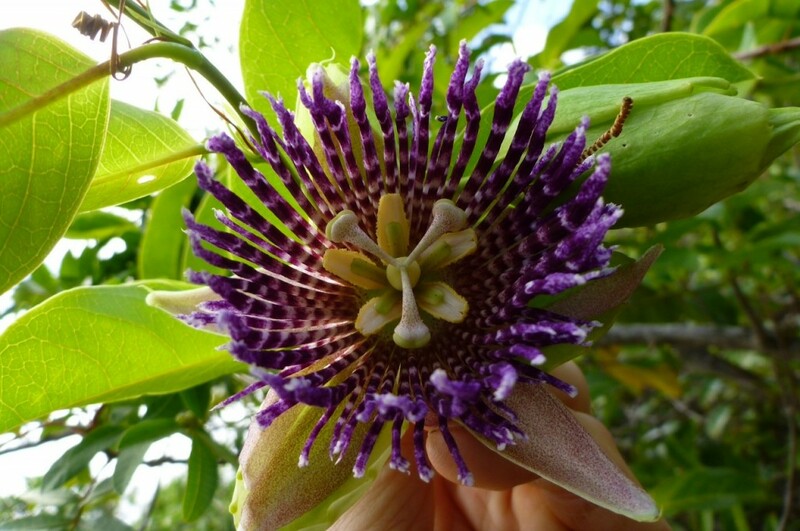 I found it especially effective for all kinds of anxiety disorders and it often significantly reduced the need for medication in short order. I used to advise committing to 10 sessions. If it is helping, continue. If nothing has happened by then, quit. The worst reaction is no reaction. I also used to say, if I can move you in the wrong direction, I can move you in the right direction. The diagnoses I worried about with respect to moving someone even temporarily in the wrong direction were epilepsy, depression with suicidal ideation and serious anger management problems. For these conditions, I advise a very experienced therapist. The history of neurofeedback has a wonderful, serendipitous story behind it. Barry Sterman, PhD at UCLA, a psychologist and sleep researcher, did Pavlov type experiments with cats, where they had to push levers to get food. He monitored their EEGs during testing. Cats have an unusual rhythm that shows up at about 14 Hz, a burst of high amplitude activity, a little higher than the alpha rhythm. The SMR, or sensori-motor rhythm, is associated with stalking behavior in cats, a state of watchful waiting, not resting, but active and in the moment. He decided to use that rhythm as a training device, because it was easy to see and count. He was able to teach the cats to produce these bursts of EEG activity at will to get food. Some time later, he was hired by the Air Force to figure out how much rocket fuel their pilots could be exposed to before they had seizures. He tested on cats, because he had them. After doing the experiments, the data showed two clear groups, with respect to seizure threshold. Barry then realized that the cats with the higher seizure thresholds were the ones that had previous SMR reward training. He went on to try it with people. I am telling this story from memory, so Barry, forgive me if I butchered it. Various people also started realizing that there was some advantage to down training, or inhibiting, slow waves, for performance enhancement in ADD kids. A lot of work has been done on this. However it is much easier to give children speed than to do this non-invasive treatment that takes time and effort. In fact, neurofeedback costs less than psychostimulants over time, but the drugs have big money behind them to prove that a normal variant is a disease, and to label large numbers of children with it. Ritalin is a performance enhancer for anyone that can tolerate the side effects. If you want your perfectly normal B student to get B+’s, just add some Ritalin. And when they get old enough, they can make extra money selling it to their friends. Or you could try some neurofeedback. Except that it isn’t scientific. Don’t get me going… However, brain damage, MBD, as it was known when I went to medical school, from a structural injury or persistent inflammation, is another story entirely. Neurofeedback helps here too, when no amount of Ritalin will change it. Here’s how it works. You put electrodes on the scalp, in various locations, depending on what part of the brain you want to exercise or challenge. The electrodes don’t put anything into the patient, but they measure the EEG, the electrical activity produced by the brain and measurable on the scalp. First the area gets prepped with a mildly abrasive substance, the electrode is applied with paste between it and the scalp to reduce the impedance, or how much opposition there is to measuring the signal. The EEG is amplified and fed into a computer where software breaks the signal down into frequency bands, generally 0-40 Hz. One hertz or Hz is one cycle per second of a wave form. The Othmer’s new work is looking at a very slow signal, close to zero. It is pioneering work, and as such, is being met with resistance in the more conventional neurofeedback community, since it is so unscientific, meaning clinically driven. The signal is converted by the neurofeedback system into a graphic representation of the information gleaned from the EKG. If the brainwaves change, the picture changes. The graphic reinforces increases in the reward band and tries to inhibit slow wave excursions. The visual feedback can be anything you want, including a movie. Different people respond to different graphics. Auditory feedback used to be beeps, but blessedly, the new software uses music instead of beeps, getting louder to reinforce whatever the therapist has chosen to reinforce. There is also tactile feedback in the form of a vibrating teddy bear, like holding a purring cat. Unfortunately, clinical results with neurofeedback are highly system and operator dependent. A choice must be made at the start of each session about where and at what frequency to train. Reinforcing the wrong thing over time can even make things worse, though in eight years of practice, I never produced a new symptom that persisted. If the treatment is wrong, it sends the patient in the wrong direction, but generally somewhere familiar, and then the protocol can be changed to address symptoms. Usually, a protocol is found that can be repeated going forward. When that is the case, home training becomes a good option for some people. Experience has taught that certain locations produce predictable effects in groups of people with common symptoms. Sue Othmer, in particular, has a coherent model for choosing training sites and optimal frequencies to reward that accomodate entire spectrums of neuropsychiatric illness. Without drugs. The downsides? Cost and time. There are fractious groups within the neurofeedback community. Some are wedded to the more scientific approach of measuring the QEEG, or quantitative analysis of the EEG signal at multiple sites and subjecting the data to comparisons with various normative databases. A number of people have tried to define neuropsychiatric disorders and brain injury according to deviations from statistical norms. Then the idea is to fix those abnormalities. I did QEEG in my last practice and it’s fascinating, but I was never impressed that I was able to fix the QEEG with neurofeedback, even in the face of huge clinical improvements, so in the end, I decided it wasn’t worth the trouble or expense, generally speaking; if there is a structural abnormality, then a QEEG may be helpful, mostly to tell you where not to train. Anecdotally, I had better luck “fixing” the EEG with HBOT than neurofeedback. My metaphor to explain why neurofeedback works is that it is like a reset, or mini shock treatment, all of the effort on up-training and down-training particular features in the EEG notwithstanding. If you tug on the EEG, cause a perturbation in the system, the brain will take over and order things in a more functional fashion. It has nothing to do with learning, or even training really, though that word is often used, for want of a better word. Here is a baby performing the task. Understanding is not required. This is a YouTube video of a teenager currently in treatment with Sue Othmer. It is a small introduction, a glimpse into her approach. Many providers do neurofeedback in the context of psychotherapy, but therapy is not needed for efficacy. As a physician, it wasn’t that different from prescribing drugs, except that it worked better. The question has been asked on this blog: “What is Neurofeedback?” And Jamie has asked me to answer it with reference to neuroimmune diseases. Neurofeedback is basically a biofeedback technique that utilizes the EEG as an index to our internal states. Biofeedback commonly uses measures of peripheral physiology, such as hand temperature, sweat gland activity, muscle tension, and heart rate. The objective is the same: it is to train the central nervous system toward better regulation of its internal states. Using the EEG, we get a little closer to the central processor, although we get a bit further away from what we can readily relate to. Neurofeedback has been explored over the last forty years in connection with conditions such as epilepsy and Attention Deficit Hyperactivity Disorder. But over the last twenty years, it has come to cover the whole domain of mental function. So it has potential relevance to the management of CFS, fibromyalgia and Lyme disease as well. The argument goes as follows: With the emergence of brain imaging over the last fifteen years we have discovered that the quality of brain function depends upon the organization of the brain in its resting condition. Now this resting state is in fact a very active state, but still it can be readily distinguished from states in which the brain is externally engaged. Further we have found that the common mental dysfunctions are associated with disruptions in the functioning of these resting state networks. Consider the example of a severe emotional trauma, one that results in persistent PTSD. There has been no blow to the head; no loss of neural integrity; no physical injury to the central nervous system. And yet the resulting dysfunction can be profound and lasting, as we well know from the experience of our veterans. What has changed in these nervous systems? In our new model, one would say that the nervous system lives perpetually in such an agitated state that it has lost access to its resting states. Or in slightly different language, resting state activity is now disturbed, perhaps permanently in the absence of intervention. The same occurs when the stressors to which the CNS is subjected are internal rather than external. That’s where CFS and Lyme disease comes into the story. Just as in the case of emotional trauma there is no need for ongoing insults to maintain the state of dysfunction, the same holds true for organic insults to the system. Once brain regulation has been profoundly disturbed even by a single event, the brain may not find its way back to wholesome organization. And if the insult is ongoing, then of course matters are all the worse. If the neuroimmune disease had a direct impact on the integrity of our neural systems, then again matters are all the worse. But they are not without recourse. Before we go on, the take-home message from the above is that even if no disease marker survives, the brain dysfunction may nevertheless persist. This is the downside of brain plasticity! The brain can consolidate dysfunction just as readily as it can consolidate function. This brain dysfunction must be targeted directly because effectively it lives a life of its own. And neurofeedback is the best means to do that. What is involved in the neurofeedback as it has evolved at our hands is that we simply allow the nervous system to see itself in action. That is literally all there is to it. We do have to be quite selective in what we show the brain, but in view of what I have already told you, it wouldn’t be hard for you to figure out what that is: We have to focus the brain’s attention on its own resting state activity! Once we ‘shine a light’ on that activity, the brain can find its way back toward better-organized resting states. Progressively, step by careful step, we get the brain functioning better again. The journey may not be smooth if the trainee is coming with a raft of symptoms. So a knowledgeable clinician has to steer the journey in a way that maximizes the person’s functional status at every moment. The rule is simple: if the person feels better as the training goes forward, then we are doing the right thing. If the person starts feeling worse in any way, we need to change course. So the brain itself is telling us what it needs by way of information about itself—figuratively it is telling us where to point the flashlight in the dark. The metaphor has its limits. We are the only ones who are in the dark with respect to the signal on the screen. The brain is not in the dark. In fact the whole process only works because the brain recognizes its relationship to that signal. And once it realizes the connection, it ‘takes responsibility’ for that signal. That is what our brains do. This is no different from your brain taking charge of the steering wheel of the car while you have decided to think about other things than keeping the car properly in the lane. The signal on the screen is part of a control loop that the brain must manage… because that is just what brains are organized to do. The implications of the above are that anyone with a neuroimmune illness dealing with persistent symptoms is well-advised to try neurofeedback to see how much function can be restored. This works even if there are serious ongoing organic issues. We are up against the same problem with the autistic spectrum, where there are lots of ongoing organic issues but we can still substantially enhance the level of function with neurofeedback. But if there are ongoing organic insults to the system, then one may well need to keep the training going at some level in order to maintain function. There are other kinds of neurofeedback besides what I have discussed. The brain will react to all kinds of information about itself. But ours is presently the only neurofeedback method that trains the brain’s resting state activity so directly, and that appears to be the most efficient training method for a variety of very challenging conditions, including PTSD, the autism spectrum, and the other conditions where resting state functional organization is so profoundly compromised. In cancer science, many “discoveries” don’t hold up, by Sharon Begley, a disheartening story, published today. Without integrity, there can be no science. This is probably how we got sick in the first place, though in the early years, it was more likely scientists doing whatever popped into their heads willy nilly, like Victor Frankenstein, with no framework for evaluating the possible consequences. With statistics like the one presented in Ms. Begley’s report, it seems folly to expect “science” to save us now. The system is completely broken. The same problem with integrity in reporting results extends to doctors. This problem is particularly rampant amongst LLMDs, who continue to make exorbitant amounts of money harming patients, extolling the virtues of “sophisticated” combinations of antibiotics for “seronegative Lyme”. Not that Lyme Disease isn’t real, but it can’t be eradicated in the way they are trying to do it. Problems with a generalized lack of scientific integrity aside, here is the first paper I’ve ever read that adds something to the clinical picture. Persistence of Borrelia burgdorferi in Rhesus Macaques following Antibiotic Treatment of Disseminated Infection by Embers et al. They infected monkeys with Bb and found that treated or untreated, the monkeys demonstrated persistence of the organism and inflammatory changes. Therefore trying to eradicate Lyme with endless courses of antibiotics is not the most sensible course of action, acknowledging the exception of a small subset who do relatively well on old fashioned acne treatment. Antibiotics are a double edged sword at best, particularly in the setting of preexisting dysbiosis. My hat is off to these researchers for their fine study, sensible discussion and clear attempt to give physicians in practice something to work with. A marker! In some cases, patients who have been treated for Lyme disease experience persistent symptoms. The assertion that further antibiotic treatment is warranted in these cases is a matter of contention and considerable debate [33,34,35,36]. Our results indicate that disseminated spirochetes of two different B. burgdorferi strains can persist in the primate host following high dose, or long- lasting antibiotic therapy. In terms of disease, only objective signs of disease post-therapy may be measurable in an animal model. While we did not find gross signs of disease postmortem, in Experiment 1 we did identify heart sections with inflammatory infiltrates in three of the treated animals. In addition, several animals, both treated and untreated showed sections of heart and meninges that were positive by immunofluorescence for B. burgdorferi. At the molecular level, B. burgdorferi DNA would indicate the presence of organisms, live or dead. The detection of RNA, however, should indicate that those present are metabolically active and thus alive. In Experiment 1, spirochetal DNA and RNA were detected in the tissues of a few animals, independent of treatment. This may reflect a low spirochetal burden, lack of flaB transcription , and/or seclusion in untested tissues. The most pressing question in terms of human disease is whether or not spirochetes remain pathogenic after antimicrobial therapy. Similarly, do spirochetes persist long-term, or are they eventually cleared by the host? Clearly, the phenotype of persistent organisms needs to be elucidated. These studies support the use of the C6 test for diagnosis and measurement post-treatment; however, the absolute quantification of antibody levels may be essential in determining treatment efficacy for PTLDS patients, as low levels (yet above baseline) may indicate presence of residual spirochetes or antigen. Finally, the use of variable and pulse-dosing regimens of antibiotics may improve efficacy  and this warrants testing in an appropriate model. I want to very much thank you for steering me away from ILADS doctors! As I said, I went ahead and did a trial of antibiotics to “provoke” Igenex testing, just to settle the question for myself, and I ended up with acute pancreatitis (I do not drink alcohol; it was the antibiotics), and then an immune fatigued body so sick I was hospitalized twice with pneumonia after catching a flu (my husband says he was worried I was near death — I had pneumonia for six weeks). After all this (and what would have been thousands of dollars in testing if I weren’t billed at the Medicare rate by Igenex and if the testing hadn’t been covered for me by insurance), my labs for Lyme AND coinfections were flat negative (except for band 41 and mycoplasma). The ILADS doctor nonetheless encouraged me, based on this, to travel to another specialist and get a port, so we could provoke and continue treatment with even stronger drugs — and said I mostly certainly had “seronegative lyme” no matter what because of my symptoms of ME and tourette’s syndrome. I am glad my insurance and Medicare covered most of this. I am also lucky to not have died or had permanent effects (other than a collection of snake oil). Your words of warning were what kept me from damaging my body and taking the seductive and expensive hope. The 5000 year old mummified corpse recently unthawed and autopsied had Lyme Disease. Iceman Autopsy. Although he was old enough to be developing atherosclerosis, he died of trauma. He had significant health problems, but at least he wasn’t infected with something created in a lab. They’ve sequenced the entire genome of a person dead 5000 years, not that that doesn’t have value, but when are they going to get around to us? March 29, 2012 — The prevalence of autism spectrum disorders (ASDs) has increased by 78% since 2002, a new report from the Centers for Disease Control and Prevention (CDC) shows. However, the exact reason for this increase is unclear. Overall, the report’s data, derived from the Autism and Developmental Disabilities Monitoring (ADDM) surveillance network, show that in 2008, 1 in 88 children aged 8 years — 1 in 54 boys and 1 in 252 girls — had an ASD diagnosis by age 8, a significant jump from the current estimate of 1 in 110. Their conclusion? It must be because of better diagnosis, reporting and access to services! Oh that’s a relief. We can all relax now. In the meantime, our little team continues to make slow progress, with no paid help to complete an IRB approved Family Study. I don’t think Dr. Snyderman and I ever thanked everyone publicly for taking the time and energy to participate in the Informal Family Study last year. We learned a lot. The problem was the extremely labor intensive data entry, incomplete data sets, and no controls, but it made it clear that there is much to be learned. We are working slowly to bring it to reality. We are all in different parts of the country, with different primary responsibilities, but we will get it done. Stay tuned.